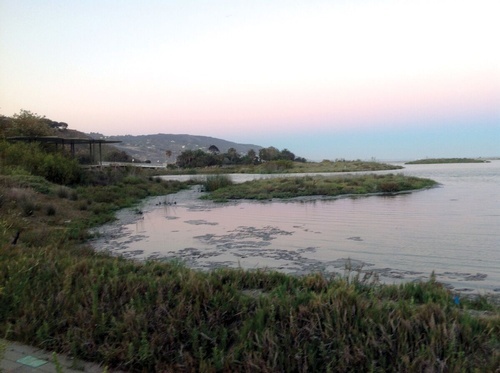 The Santa Monica Bay Audubon Society "SMBAS" invites all to their free, monthly Malibu Lagoon Field Trips, held on the 4th Sunday of every month, at 8:30 (adults) and 10 am (kids). The next dates are March 25 and April 22. This is a joint use project funded by a partnership with Santa Monica College. No RSVP required. The 2-3 hours adult walk begins at 8:30 a.m. and is meant for those who are beginner and experienced. The group will meet at the “metal-shaded viewing area next to the parking lot” before going forward with the two-three hour tour. The children and parents walk will then take place at 10 a.m. with the same meeting place for an hour tour. For those with scout troops or groups of seven or more, call Jean at 310.472.7209. Binoculars are recommended; loaners for kids and adults will be available on site. Malibu Lagoon is located at the intersection of Pacific Coast Highway and Cross Creek Road. For more information, visit smbasblog.com.